The Supreme Court has on 15th July, 2015 reserved the petitions challenging the law related to the National Judicial Appointment Commission (NJAC) for judgment. The finest part of the NJAC case is that it has succeeded in exposing the ‘strange creature’ of collegium system on the one hand and the equally unacceptable NJAC on the other. The arguments in the case and the media reports on the Court proceedings have been enormously instructive from the public’s point of view. The point, however, is that the outcome of the NJAC litigation, at any rate, will not resolve the fundamental issues related to judicial appointments in India. And this is the sad part. The verdict in the NJAC case is not predicable, but the possibilities are quite foreseeable. There are only three contingencies in the case. One is that the Supreme Court may strike down the 99th Amendment to the Constitution and the NJAC Act of 2014 in which case the collegium system may or may not revive, depending upon the apex Court’s views on that point. Normally, when a constitutional amendment is struck down, the pre-amendment provisions as interpreted by the Supreme Court earlier would revive, which precisely would mean restoration of collegium mode, unless the Court says otherwise. The second possibility is to dismiss the challenge against NJAC, which would mean replacement of the collegium system by the new NJAC. The third way out would be a reconciliatory arrangement whereby the Centre agrees to alter the composition of NJAC by giving predominance to judiciary in the selection committee which may turn acceptable to the Court for it would erase the apprehended threat against the independence of judiciary. But, none of the above courses will cure the fundamental defects in the selection process to the constitutional courts in the country. The fact of the matter is that it is not the judiciary but the Parliament that can think of a better system of selection and that is bound to be something drastically different from the present NJAC. What is needed is not a limited and restrained judicial review of the existing unimaginative and quixotic legislative design but a wider and deeper brand of legislative activism with a genuine democratic content. The basic flaw with the collegium and the NJAC is that they are equally opaque, undemocratic and non judicious. In both, there is no notification or opportunity to apply. They are hallmarked by negation of transparency. An eligible and fit person cannot aspire for a fair opportunity by way of an equally fair procedure, in both the systems. Nor there is an objective method of assessment of merit in either situation. After visiting the U.K. Supreme Court in 2013, this writer had occasion to study and reflect on the manner in which the independent Commission for judicial appointments functions in the U.K. By that time the Constitution Reforms Act (CRA), 2005 was amended radically, which in turn introduced an enviable U.K. model for judicial appointments. The Act as amended in 2013 has put an end to the decisive role which the Lord Chancellor earlier had in the process. There was valid criticism against the ‘closed system’ that had a tendency to exclude “people who did not fit an establishment mould” as confessed by U.K’s Ministry of Justice. The document released by the Ministry proclaimed that “openness and transparency should relate both to judicial appointments themselves and the appointments to the selecting body itself” (The Governance of Britain: Judicial Appointments, Great Britain: Ministry of Justice, 2007). This is a cardinal lesson for the Government at the Centre who is so passionate about bringing in two “eminent persons” of their own choice in the NJAC. The British model, which is regarded as one among the finest in the modern constitutional democracies, is essentially based on the doctrine of equality of opportunity. There is clear vacancy notification that is followed by receipt of applications and nominations. This ensures publicity in the process, which is ‘the soul of justice’, as Jeremy Bentham put it. Also there is a series of interviews, consultations and verifications of the track records and antecedents of individual candidates. The process is not vitiated by secrecy. By way of a lengthy and comprehensive process, the system is equipped to choose the best. The fundamental change in the U.K. started even earlier when the then Lord Chancellor Irvine of Lairg decided that the High Court appointments would be by application as well, in addition to the conventional method of invitation. In 2001, the Commission for Judicial Appointment (CJA) came in to being, which tried to ensure “effective appraisal devices” and “better focus on equality”. Though CJA acted more like an Ombudsman, it was a significant move towards “Independent non Departmental Public Body” (NDPB). Even after great success in evolving an independent body, there was “growing pressure for more openness and greater diversity in the composition of judiciary” as noted by Kate Malleson and Richard Moules (The Legal System, Oxford , 2010). This demand has been met substantially by way of the amending Regulations of 2013. One sees pre-legislative discourse on the issue, typical of a modern deliberative democracy. After the CRA and the Judicial Appointments Regulations in 2013, the 15 member Judicial Appointment Commission (JAC) was established. The composition of JAC reflects the spirit of representative and participative democracy. 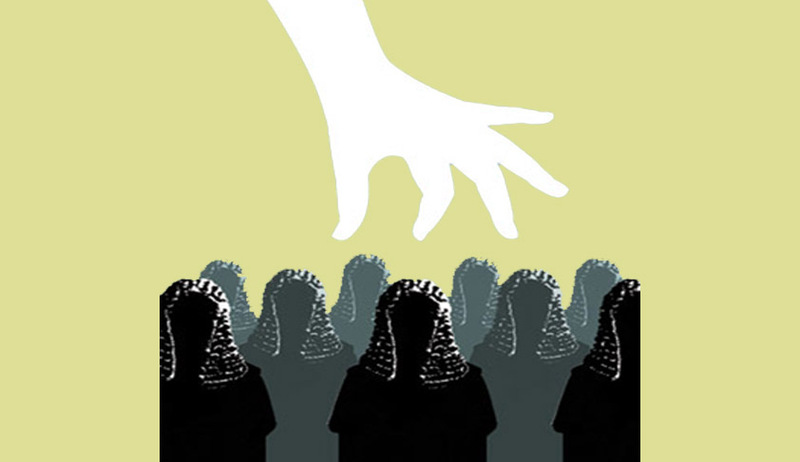 More than 900 Judges are appointed every year in the U.K. under the present system. The striking feature is that the JAC has a lay chair. There are five judicial members, two members from the legal profession, five lay members, a Tribunal Officer and one Magistrate in the body. Apart from the JAC, there is the Judicial Appointments and Conduct Ombudsman (JACO) which is empowered to conduct investigation into the complaints about the appointment process and judicial conduct. Even complaints from dissatisfied candidates are entertained and examined. Consultation with referees is not the sole method of assessment of merit. A significant trait of the U.K. system is that though the legislature has no role in judicial appointments in contrast with the situation in the U.S, the present model is created by the British Parliament through the CRA. The appointment to the U.K. Supreme Court is done by a collaborative process in which the appointment Boards and First Ministers from England, Scotland and Northern Ireland have a determinative role. Malleson and Moules indicate that the concern was also about the inability of the unsuccessful candidates to get intimation about the reasons for rejection of their candidature. There is a strong demand for holding the interview in public by following the South African model. Hopefully, the device of open interview would meet the concerns expressed by the lawyers from ‘non-traditional background’ within and outside the U.K. It has a transparency element resembling the discussions in the U.S. Senate on judicial candidature. In the U.K. Supreme Court, I was able to study proceedings in two Courts, one headed by Lord Neuberger and the other by Lady Hale. One case was pertaining to execution of a will which later on was reported as Marley v. Rawlings (2014) 1 All ER 807. A significant judgment on press freedom was delivered by the bench headed by Lady Hale as A v. BBC (2014) 2 All ER 1037. The judges as well as their judicial work are open to public view. I could witness a high level of objectivity and professionalism shown by the judges of the U.K. Supreme Court which necessarily reflects a fault free appointment process, which a county like India should try to emulate. Important constitutional cases are telecast live in the U.K. The conduct of the judges on and off the bench is therefore open to public scrutiny. No Court has so far evolved a fault free method of judicial selection to constitutional courts. Whenever the Court has attempted to do it, it has led to dangerous absurdities as illustrated by the Indian Collegium System. “I’m worried about the political battles being fought out before the judiciary. That’s not only bad because it disempowers the political process of majority voting, it’s also bad because that way of putting these issues makes them into zero sum games. When you go before a judge, you are not asking for an intelligent accommodation, you’re asking for what the law says. The law can say either A or B is right. It’s really a zero sum game…... The abortion debate is a good example of this. When people fight it out in terms either of the right of choice of the mother, which means no restrictions at all, or the right to life of the foetus, which means no abortion under any circumstances whatsoever, it’s going to be total victory for one side or the other. Nobody can sit down and make an accommodation. On the other hand, if it’s a legislative matter then we’re in the domain of a human political judgment which I think we ought to keep alive”. (Charles Taylor: States of Mind: Dialogues with Contemporary Thinkers on the European Mind, Manchester University Press, 1995, Ed. Richard Kearney). The litigation in the Supreme Court, like the abortion case, would mean either NJAC or no NJAC; either judicial dominance or executive hegemony. This happens in an era of modern independent commissions worldwide. We have better models to choose and more useful lessons to learn. But we remain as a misdirected lot. Kaleeswaram Raj is a lawyer in the Supreme Court and Kerala High Court. He has authored The Spirit of Law (2012).